Party Wall Surveyor: Since 1996 new legislation has prescribed work which cannot commence on a property without first obtaining Party Wall Consent from adjoining owners. H T Partnership can assist with issuing Party Wall Notices, liaising with adjoining owners and act as Party Wall Surveyors. CDM Co-ordinator: The Construction (Design & Management) Regulations 2007 require projects, which are not residential and for a private client, be notified to the Health & Safety Executive. Where applicable a client is legally obliged to appoint a CDM Co-ordinator and H T Partnership can act in this capacity. Please see left/right for examples of specialist projects. The examples and the list above are not exhaustive, giving a few examples of the variety of projects we have provided services for. If you have a specific building project in mind which is not covered by this or other sectors please Contact Us. 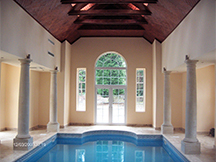 New Private Swimming Pool in Surrey. 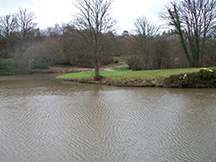 Design for raising crest of dam to lake in Kent. 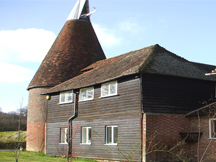 Alterations to converted Oast House in East Sussex. 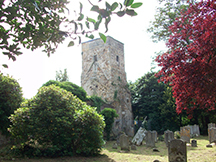 Structural Advice for preservation of ancient monument in East Sussex. 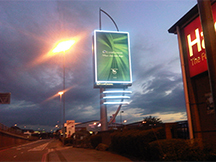 LED totem advertising tower in London. 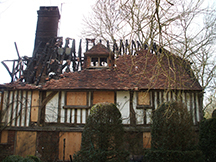 Surveying and structural refurbishment of fire damaged listed farmhouse in East Sussex. 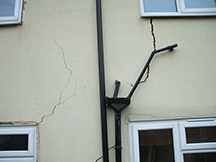 Structural reports on variety of building defects throughout the South East and London areas. 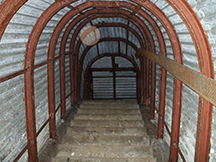 Surveying of World War II tunnelling system in East Sussex.